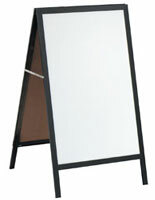 This sidewalk a-frame is double sided and features a folding design. 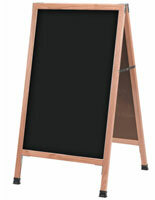 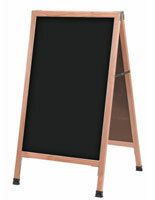 Carry the message board out to the sidewalk to help bring more customers into your door. 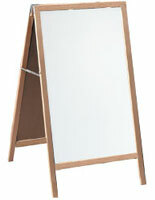 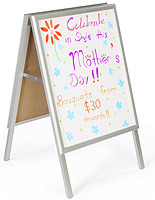 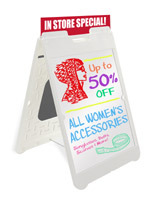 The sidewalk a-frame features a dry erase writing surface, and we include a set of four markers with eraser. 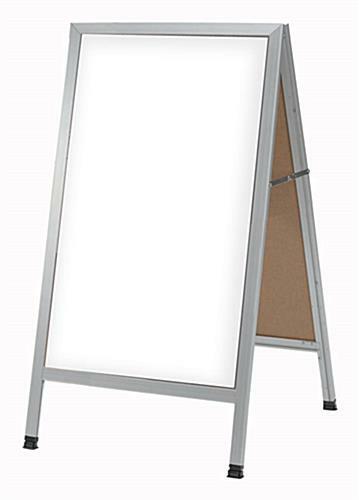 Get started right out of the box! 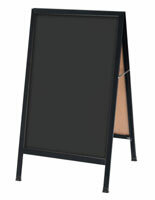 Our sidewalk a-frame is a good choice for those needing a fast way to change or update their messages!